In this high-tech age of constant surveillance, it's not a stretch to think there are cameras watching every move you make in every corner of the globe. For hunters, it's nice to escape these technological distractions and head into the wilderness, admiring nature for all its wonder, and reaping the benefits of simply being outdoors. However, some think hunters should have Big Brother constantly watching our every move, and who else but PETA should take hunter harassment to a whole new level? Enter PETA's new Air Angel drone, a remote-controlled, quadricopter drone being marketed to the general public as "the new hobby for animal protectionists." That's right, for just $324.99, "hobbyists" can bring home their very own drone — stickers included — that can send video and photos straight to the user's phone, allowing them to track hunters from on high. "PETA's drones will help protect wildlife by letting hunters know that someone may be watching — and recording — them, so they should think twice before illegally killing or maiming any living being," PETA President Ingrid E. Newkirk said in a news release. "Wildlife watchers outnumber wildlife killers five to one — and if even a fraction of these kind people use hobby drones, they'll make a huge difference by exposing hunters' dirty secrets." The release continues: "PETA aims to collect video footage of any illegal activity, including drinking while in the possession of a firearm; using spotlights, feed lures, and other forbidden hunting tricks; and maiming animals and failing to pursue them." Forbidden hunting tricks? That's not hunting; that's poaching, and we hate poachers. While poaching does happen, it's quite a leap to say all hunters are poachers, just as it would be to say all drivers are drunk drivers. "While hunters hide in trees or pretend to be ducks in order to inflict harm, hobby drone operators who are always careful not to interfere with wildlife or hunters just may end up saving lives," PETA writes on its online shop. Zero in on that last sentence. PETA says these drones won't be used to interfere with hunting, but selling these toys to hot-headed animal rights nuts with little to no idea how to pilot them — or with some raging, violent vendetta against hunters — could certainly toe the line of hunter harassment, which is a misdemeanor in all 50 states. 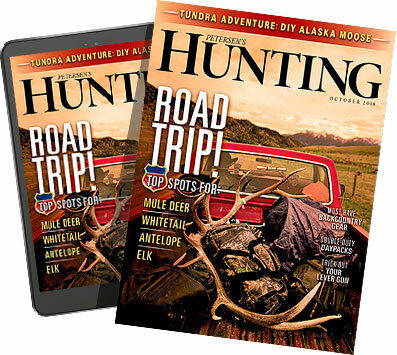 "PETA using drones would certainly constitute hunter harassment if it in any way impeded on a hunt," said Doug Jeanneret of the U.S. Sportsman's Alliance. "Imagine drones running over your duck decoys or near your tree stand. It would certainly interfere with your hunt and break the law. They will definitely be using them against all hunters." USSA Director of Federal Affairs Bill Horn added that the use of drones could constitute hunter harassment in a number of ways. "If the drones make noise that scares away the animal, or visually scare away the animal — a drone might look like a strange large bird to the animal — the violation of the 'disturb' provision of the hunter harassment statute is clear," Horn said, citing Massachusetts hunter harassment laws (the press release from PETA focused on Massachusetts bowhunters). "If the drones merely observe the hunter without impacting the hunting, there is an arguable violation of the 'follow' provision in the Massachusetts statute. Finally, if the drones trespass onto private property or lack any permit that might be required to be on — or just above — public property, that is trespass." Harassment has been a pretty hot topic among hunters recently. As our sister site Wildfowl reported, a pair of Wisconsin hunters were duck hunting on private land — where they had permission to hunt — when a 64-year-old anti-hunter grabbed his .410 and over their heads, trying to chase the hunters away. The trigger-happy activist, Van Hawkinson, was arrested and charged with dangerous use of a weapon and disorderly conduct. Barron County (Wis.) District Attorney Angela Beranek said hunter harassment charges were not filed because hunter harassment is a civil matter, not criminal. Horn agreed, saying any prosecution under hunter harassment laws is a "civil forfeiture." PETA can have its fun with its toy helicopters, but these wannabe Junior Birdmen do so at the risk of a lawsuit or, should one of their toys come into contact with a hunter, greater legal ramifications. Still others, like those in Deer Creek, Colo., have declared open season on drones in general, which should make the PETA people think twice about entering unfriendly skies.